Apple has released updated versions of the 21.5-inch iMac and the 27-inch iMac today. The new 21.5-inch iMac gets a 4k resolution display and the 27-inch iMac gets a 5k resolution screen. All 27-inch iMacs will now come with the 5k display and sales of all other models will be stopped. The new iMacs also come with upgraded internals that make them faster than before. They come with new processors, improved graphics and more storage. The standard 21.5-inch iMac used to ship with a 1080p display, so the new 4K screen is a huge update. From a resolution of 1920 x 1080, the 21.5-inch now has a resolution of 4,096 x 2,304. It comes with the fifth gen Intel Core processors and Intel Iris Pro Graphics that provide faster, smoother performance with improved graphics. 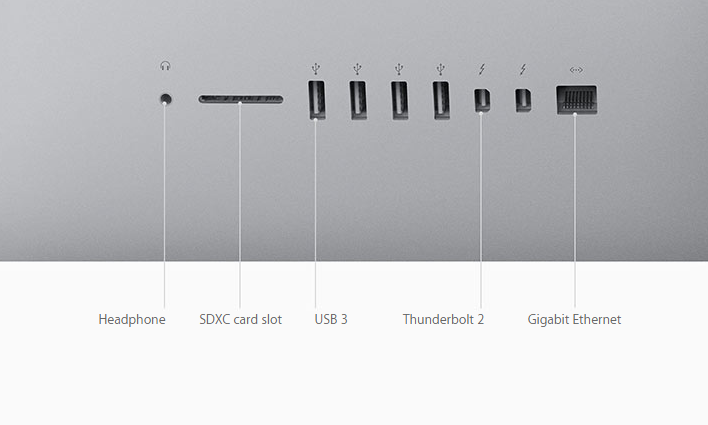 Two Thunderbolt Ports are now standard along with higher storage options, but no Fusion drive. 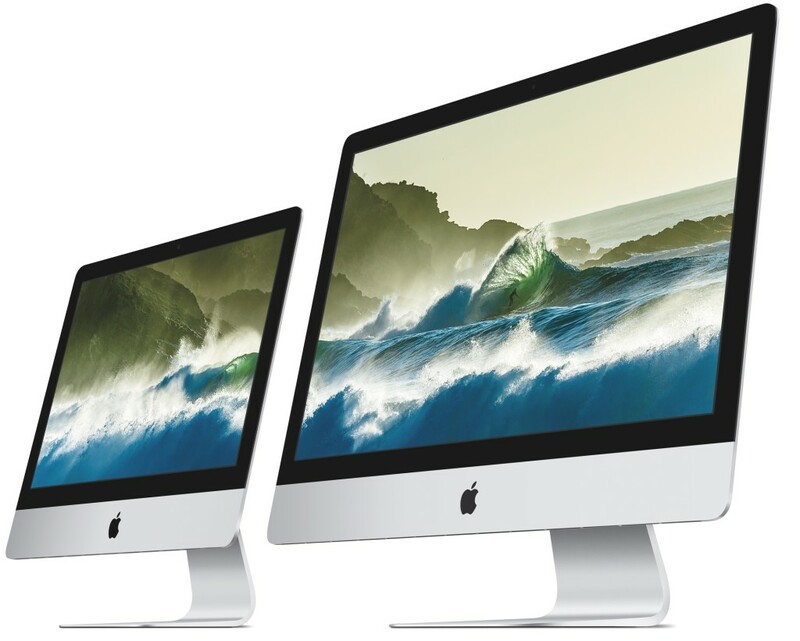 Apple will continue to sell the 21.5 inch iMac with the 1080p display. With the 27-inch iMac, all models now come with the 5k screen that was previously only available on the top model. They also ship with the latest sixth generation Intel Skylake processors and AMD R9 series of graphics. For storage, the Fusion Drive now comes in 1TB HDD with 24GB of Flash storage or 2-3TB HDD with 128GB of Flash storage. Both the updated iMacs are now available for purchase from Apples’ online store. The 21.5-inch non-Retina iMac is available in two models for $1,099 and $1,299. The 21.5-inch iMac with Retina 4K display costs $1,499. The 27-inch iMac with 5K display is available in three models, priced at $1,799, $1,999 and $2,299. Alongside the new and updated iMacs, Apple also released new versions of their Keyboard, Magic Mouse and Trackpad. All of the three new and updated devices get rechargable batteries that can be charged by connecting the devices to the computer using an USB-to-Lightning cable. Once connected, they also pair with your devices. All the three devices feature Bluetooth 4.0 and use that for wireless interaction. This makes them more efficient. The Magic Keyboard is an all new device that gets an aluminum body, smaller and thinner footprint and scissor mechanism for the keys. The Magic Mouse 2 is lighter, more sturdier and has an improved foot design for better glide. As before, it features one single touch sensitive button. With the new Magic Trackpad 2, Apple has brought Force Touch to the desktop. The new trackpad features a 29 percent larger surface area, making it better than before. You could still purchase the new products, but not from the Apple online store. There you go, new updated iMacs and improved accessories. What are you getting?